If you keep seeing the activation screen or the authentication screen (see picture below) at every load of your inbox, ensure that your browser is not configured to clear your browsing data whenever it closes since Gmelius needs to store locally some data to work properly. And check if you don't have the extension Privacy Guardian enabled in your browser or Ccleaner installed in your computer. If the behaviour you're experiencing is independent of your browser's configuration or extension, please follow the steps outlined below. 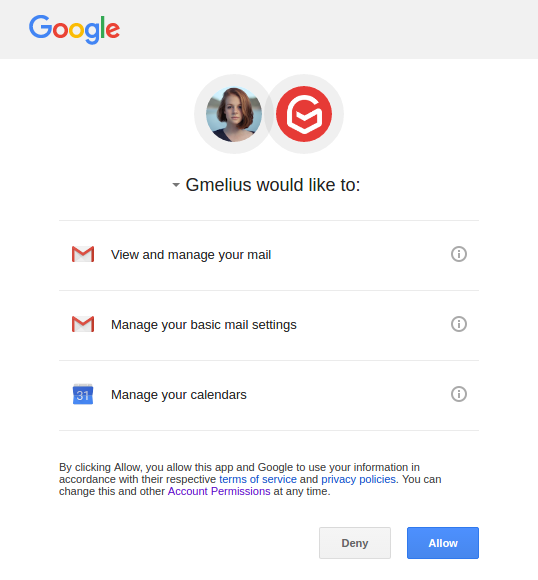 Click on Manage Apps and remove Gmelius. You'll be asked to authenticate one more time (hopefully the last one).